I recently had the opportunity to travel to the UAE for the 2013 What’s On award ceremonies. 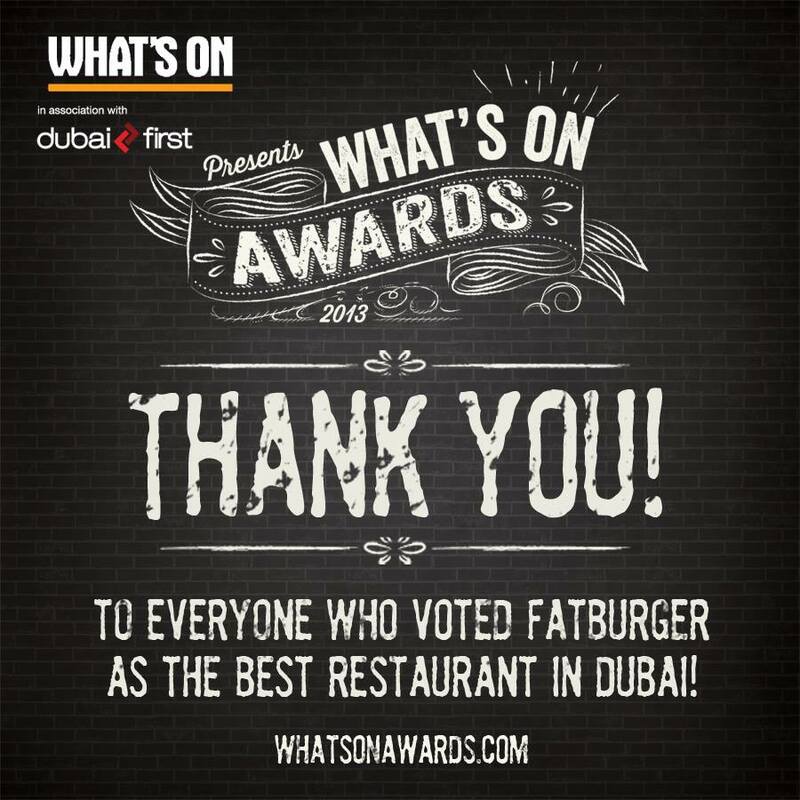 I’m so proud to announce that Fatburger took home the “Favorite American Restaurant in Dubai 2013″ award this year. What’s On – the UAE’s best-selling entertainment magazine – puts on the What’s On Awards Dubai 2013, in association with Dubai First. Now in their twelfth year, the awards are a celebration of the UAE’s cream of the crop in hospitality, entertainment and leisure. Industry wide respect for the coveted What’s On Awards is clearly reflected in both the phenomenal response to this annual event and the respect given from those in the business. A major contributing factor is the unique transparency and fairness with which the awards are allocated. Voting is conducted by the public, with all votes independently counted and audited by Jacobsons Direct Marketing Services and then counter-verified by a special panel of impartial industry experts. You can check out the entire list of winners this year at the official What’s On Awards website.